The BDI MIRAGE 8227 embodies a subtle design and sleek black finish, making it a sharp choice to support a gloss black TV. 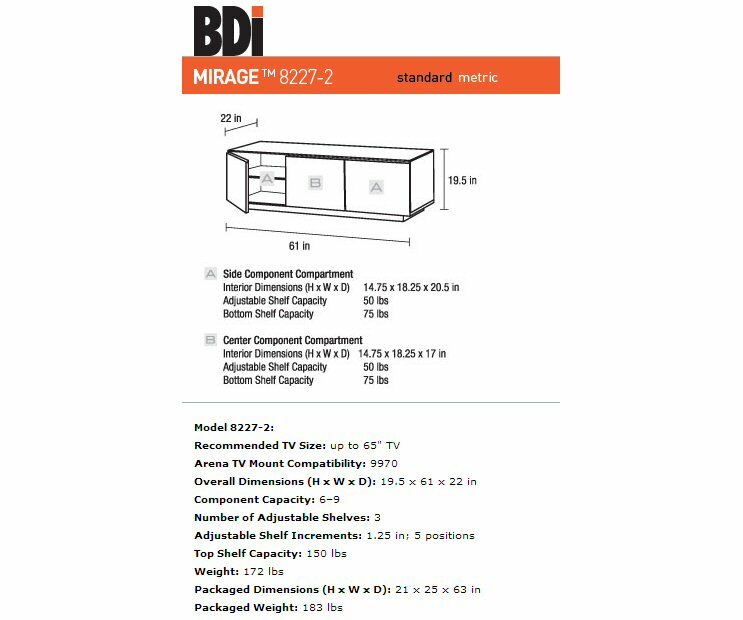 BDI MIRAGE features a black glass top, doors that are fronted with grey tinted tempered glass, and a satin black base and sides. 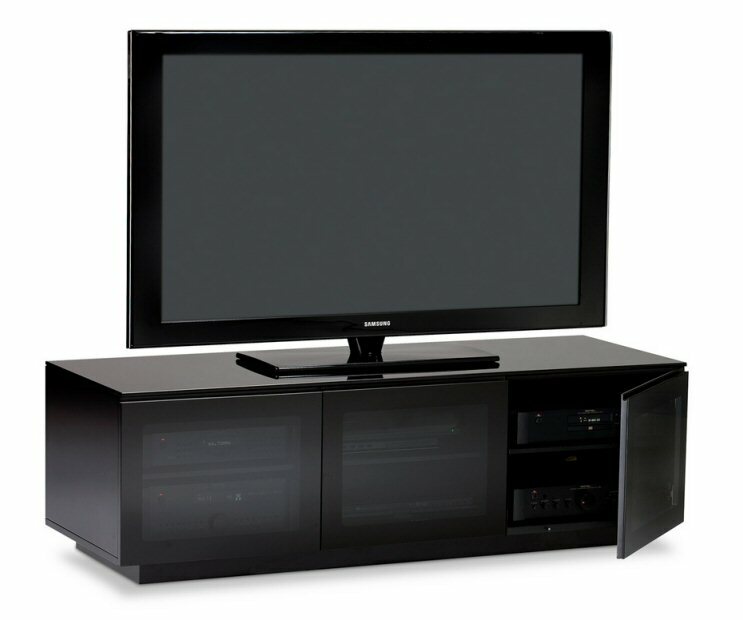 Components are concealed behind IR-friendly, soft-close doors. 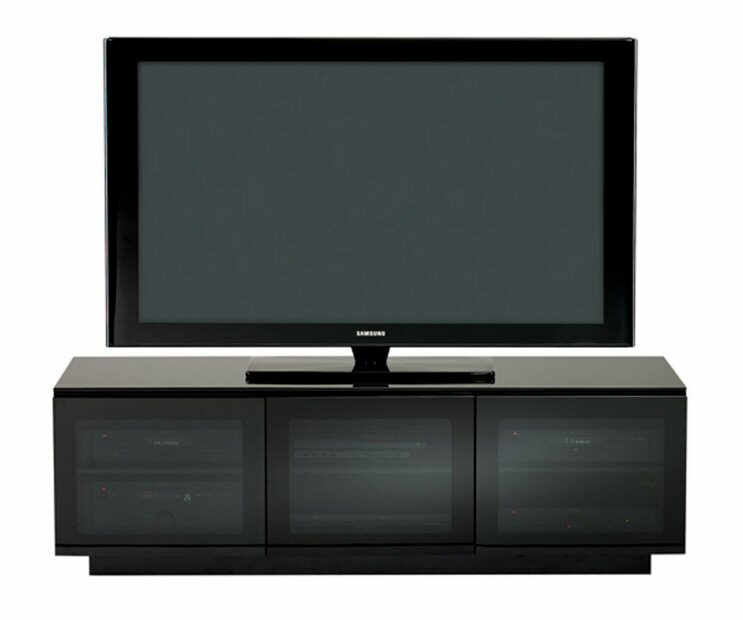 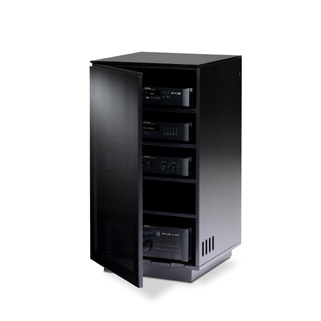 MIRAGE 8227 includes adjustable shelves with flow-through ventilation, hidden wheels, and sliding back panels for easy access to cables and component connections. 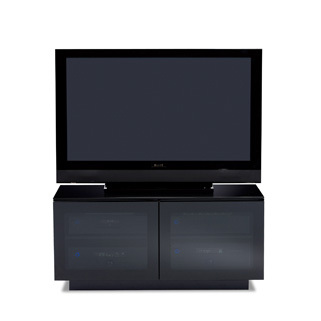 Interior Right and Left Compartment Dimensions:14.75h" x 18.5w" x 19d"